As his Christmas gift to himself each year, the late biochemist Roger Tsien treated himself to two weeks of uninterrupted research in his lab. This image is a product of those annual sojourns. 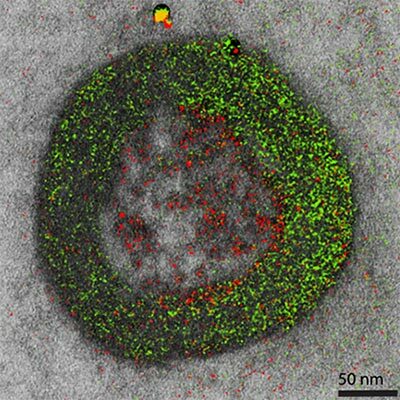 While it may look like a pine wreath dotted with crimson berries, it is in fact one of the world’s first color electron micrographs—and the method used to create it may dramatically advance cell imaging. Students from Connecticut to Washington State and points in between peppered our experts with questions during the recent live Cell Day web chat. 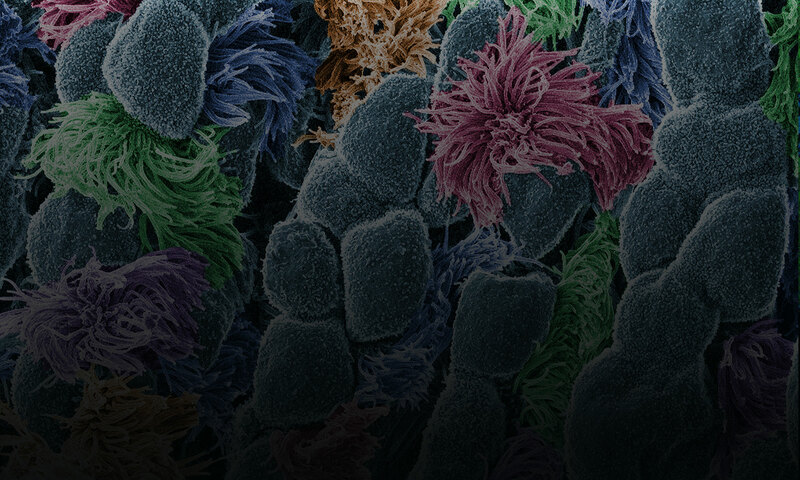 They fielded questions about cell structures, microscopes and other tools, life as a scientist, and whether there are still discoveries to be made in cell biology. One of the Cell Day moderators, Jessica Faupel-Badger, even gave a shout-out to the Biomedical Beat blog as a great way to keep up with new and exciting discoveries being made every day. Thanks! The full transcript with all the questions and answers is now available. We’ve recapped some of the highlights below. 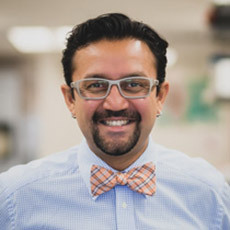 Prior to joining NIGMS in 2016 as a program director, Patrick Brown, was a high school chemistry teacher in Maryland. Patrick Brown answered: I love that question! And, I love being a scientist. There are so many things that I like about my career choice. The answer is simple—I like learning! I like learning about different living organisms and how they may be the same or different. I also really enjoy the multi-cultural aspect of science. I get to interact with so many different people from different parts of the world who are all studying different aspects of science that are just as interesting as my own, and we are all interested in knowing more about life. Gram stained cerebrospinal fluid with gram-positive anthrax bacilli. Credit: Wikimedia Commons, Yuval Madar. How did you know that biology was the career for you? In other words, what motivated you to become a biologist? Amy Kullas answered: I remember being in my high school biology class, gazing through a microscope, and seeing the mixture of beautiful purple and pink cocci after performing my first Gram stain . It was at that moment that I got hooked on science. I majored in microbiology in college and then went on to graduate school. Amicia Elliott answered: The truth is that every day at work is an adventure. A typical day includes some of the following things: reading scientific papers, thinking about and designing experiments (my favorite part! ), carrying out those experiments, data analysis and discussing results. Scientists work long hours to accomplish all of these things, but it is mostly a labor of love! 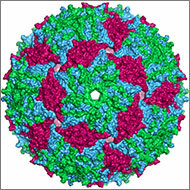 In a 2014 Molecular Cell paper, NIGMS Director Jon Lorsch and colleagues determined the structure of initiation complexes. What was the most interesting experiment you have conducted? 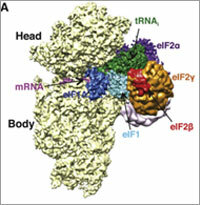 Jon Lorsch answered: In my lab, we study how proteins are synthesized by the eukaryotic ribosome. We have learned a great deal about how the ribosome and the proteins that help it (called translation factors) find the start codon in the messenger RNA. Recently, in collaboration with a group in the UK, we used cryo-electron microscopy to determine the three-dimensional structure of various ‘initiation complexes’ – the small subunit of the ribosome bound to mRNA, tRNA and initiation factors. Being able to see how this process works in three dimensions is amazing!